oh this is so romantic ! makes you look like a doll ! Such a lovely dress and so suits to you! so lovely, the dress looks great on you. Your collar goes so well with your dress! And your dress is a gorgeous color! wow, that dress looks perfect on you! i've been looking through your blog and i must say i love it! Love, love, love your dress! And your haircut goes so well with it! Like a pic from a movie! Love this dress! You look lovely with it! Thanks for visiting my blog and for follow it with Bloglovin'! Now I follow you back on Bloglovin'! I am also your fan on Lookbook, maybe fan me back if you want! Lovely dress sweety, you look like a doll! Thanks for your sweet comment, I'm following you too now on Bloglovin! That look is just so cute! Love the color of this velvet. Perfect shoes to tie together the whole look! Very pretty photography. Great color! 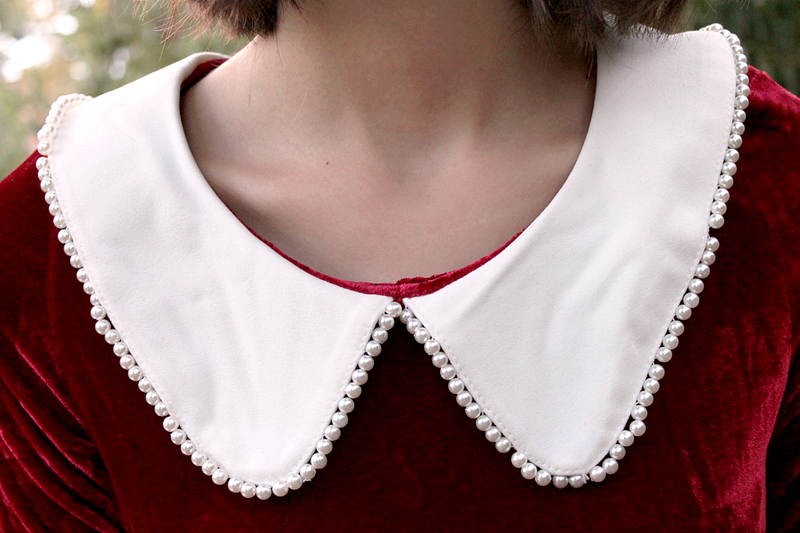 Love the pearl accents on the collar! seems that velvet goes on and on this season! Thanks for following me on Bloglovin, followed you back! Would you like to follow each other on GFC too? Oh! 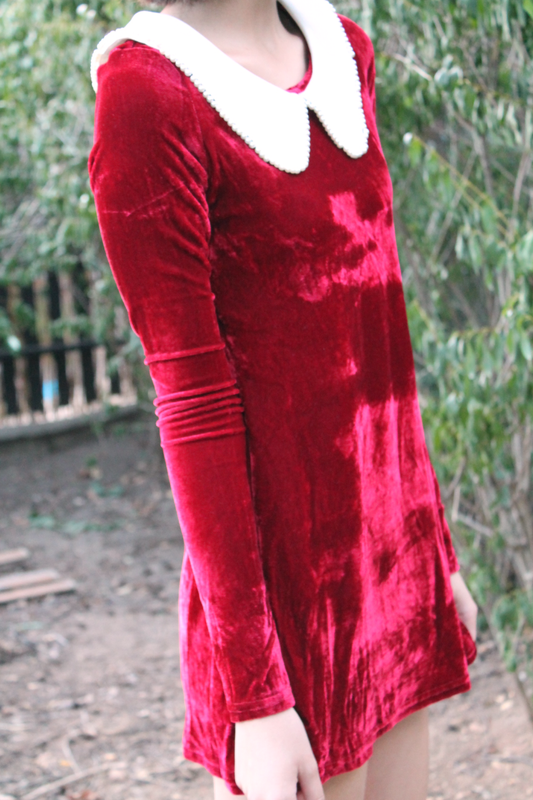 my, my...You look absolutely stunning in that velvet dress! you're like a doll! 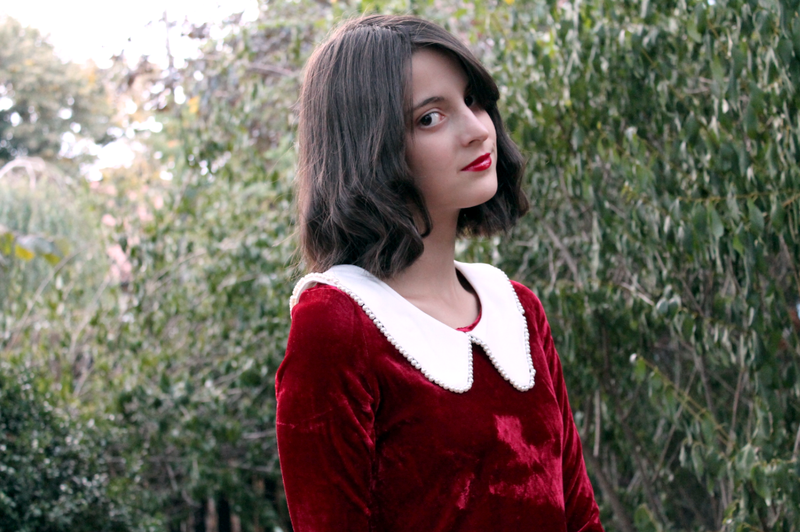 love the velvet! lovely red color and the dress is elegant! lovely dress! and the collar is prettyy! If u wanna, let me know. wow, this is such a stunning dress! and i think its perfect for holidays! i don't know why but it reminds me of Christmas! you're gorgeous, btw! Wow dear,what amazing dress!You look as a stunning Little red riding hood! This is a really pretty dress. It reminds me of the little red riding hood for some reason. This outfit is so beautiful! You remind me of a princess in this. Thanks so much for stopping by my blog, your blog is lovely! 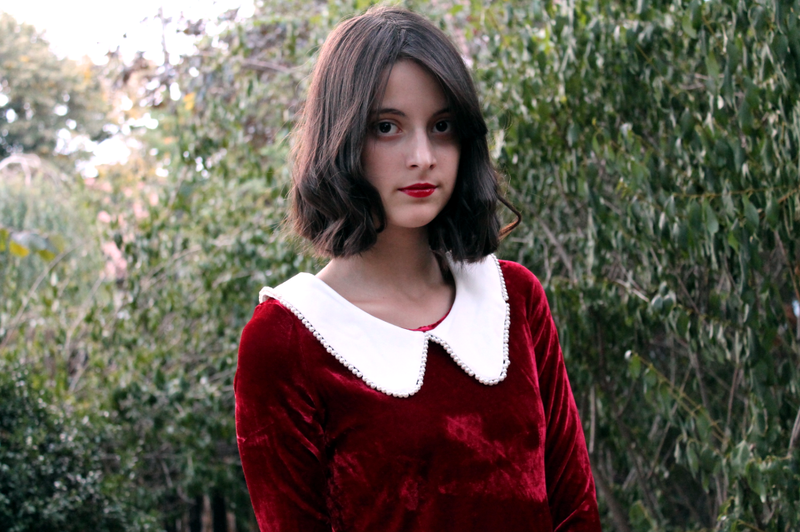 This velvet red dress is gorgeous on you! And the collar is cute. Nice to know you and your blog! It's very versatile dress!!! Great find! It can be worn at summer time as well as autumn !